After an eight-game losing streak, the Kansas City Royals finally decided they had enough and on Thursday, May 30, 2013, the team named Hall of Famer George Brett interim hitting coach, just in time for the Royal’s game against the St. Louis Cardinals. 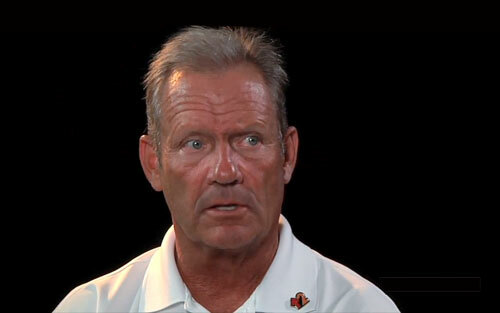 Baseball great, George Brett, is named Kansas City Royals iterim hitting coach on May 30, 2013. “I’m thankful that this organization has one of the greatest hitters and more importantly one of the greatest competitors our game has ever seen in George Brett, and he has accepted our offer to join the coaching staff on an interim basis,” Royals general manager Dayton Moore said. The former third baseman, who is the greatest player in the franchise’s history, replaces Jack Maloof and Andre David, who have been reassigned to the minor league organization. After his retirement following the 1993 season, Brett went on to become the franchise’s vice president of baseball operations. He has also worked as a volunteer coach at spring training for many years as well. The 60-year-old Brett has turned down numerous opportunities to be a coach, and told The Associated Press during spring training that he’s had several chances to manage a team. But he’s been content to serve as a volunteer coach during spring training all these years because he said that he didn’t need the daily grind that comes with a 162-game schedule. But he’s kept his pulse on the organization by working in the front office, and earlier this week lamented during a radio interview the team’s misfortune. Evidently, the losses had piled up to the point that Brett was ready to accept the challenge. Photo shows George Brett speaking to Anthony Gose at the Futures Game in July 2012. Brett has some impressive stats. His 3,154 career hits are the most by any third baseman in major league history and 16th Ball-time. He is one of four players in MLB history to accumulate 3,000 hits, 300 home runs, and a career .300 batting average (the others being Hank Aaron, Willie Mays, and Stan Musial). 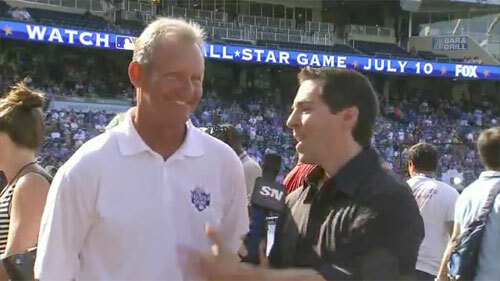 Watch the following July 2012 video where George Brett talks with Anthony Gose at the Futures Game. Sports Speakers 360 is a sports talent agency for booking athletes. If you would like to book baseball speakers or MLB players like George Brett for a speaking engagement, autograph signing, VIP meet and greet, charity fundraiser, guest appearance, baseball camp, product endorsement, social media campaign or special corporate event, you can contact George Brett’s agent for speaker and appearance fees or call 1.855.303.5450.